Oregon Gov. Kate Brown has issued an executive order calling for at least 50,000 electric vehicles by 2020. However, her program to spill water over the dams will far exceed the carbon reductions gained from EVs. In November 2017, Oregon Gov. Kate Brown issued an executive order calling for a statewide goal of 50,000 or more electric vehicles (EVs) by 2020. Midstate Electric Cooperative, headquartered in La Pine, accepted the challenge. “We wanted to be able to speak intelligently to interested members about electric vehicles and have one available for them to see,” said Midstate CEO Dave Schneider. In April, the cooperative bought a new Chevy Bolt to replace an aging marketing vehicle. A recent report by the National Rural Electric Cooperative Association noted that while many electric cooperatives around the country are facing stagnant load growth and decreasing revenues, electric vehicles represent a unique opportunity for co-ops to grow load in a way that has social and environmental benefits. However, with only approximately 600 EVs in Oregon electric cooperative territory, the jury is still out whether they will simply be a niche high-end product. Nevertheless, there are promising market signals. While EVs are a bit more expensive than comparable petroleum-fueled vehicles, those prices are expected to even out during the next few years as EVs become more prevalent. There are also incentives to get in on the technology ahead of that curve. At least through 2018, new EVs may qualify for a federal income tax credit of up to $7,500. The credit amount varies based on the capacity of the battery used to power the vehicle. Additional state and local incentives may also apply. The new Chevy Bolt was on display at Midstate’s annual meeting on May 12, but the co-op was not simply interested in showing off a shiny new vehicle. They also were making a powerful statement about the environmental benefits of driving an EV, particularly the type of fuel that charges the battery: clean, renewable hydropower. 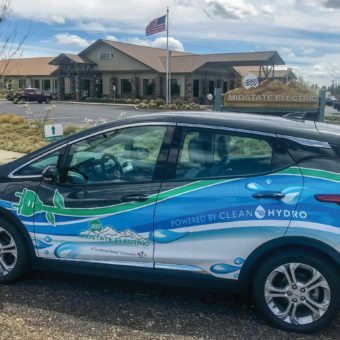 Midstate Electric Cooperative’s new electric vehicle is a colorful presence in its Central Oregon service territory. The Chevy Bolt was featured at MEC’s annual meeting in May. Several other Oregon electric cooperatives have bought electric vehicles. 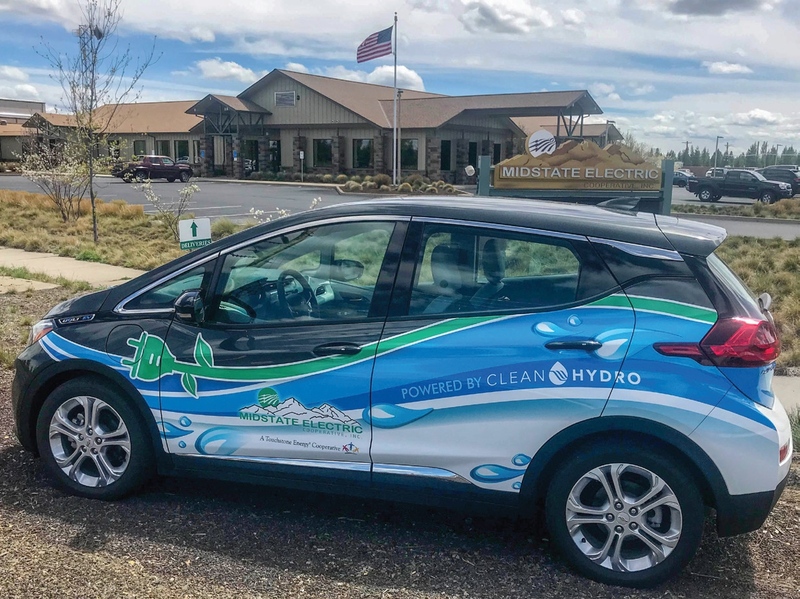 Columbia Basin Electric Cooperative, headquartered in Heppner, has installed electric vehicle charging stations at four locations in its service territory. Because Gov. Brown’s executive order also called for assisting consumer-owned utilities to support the state’s EV goal, Schneider convened a group of electric cooperative leaders to meet with representatives of the Oregon Department of Energy to discuss potential partnership opportunities. The group discussed a wide range of issues, including incentives for electric vehicles and the ability to communicate with co-op members who buy them. They also discussed impediments to deploying electric vehicles in rural Oregon, such as so-called “range anxiety” for Oregonians who have to drive long distances but may not have access to charging stations. Electric co-op leaders know there is another issue that threatens to undermine potential carbon reductions from increasing the state’s number of electric vehicles. Recently, BPA estimated CO2 emissions with Oregon’s controversial policy of increased spilling of water over eight dams on the Columbia and Snake rivers. Because the clean, renewable energy will need to augment with market purchases, BPA calculated Oregon’s spill plan will generate more than 1 million metric tons of CO2. 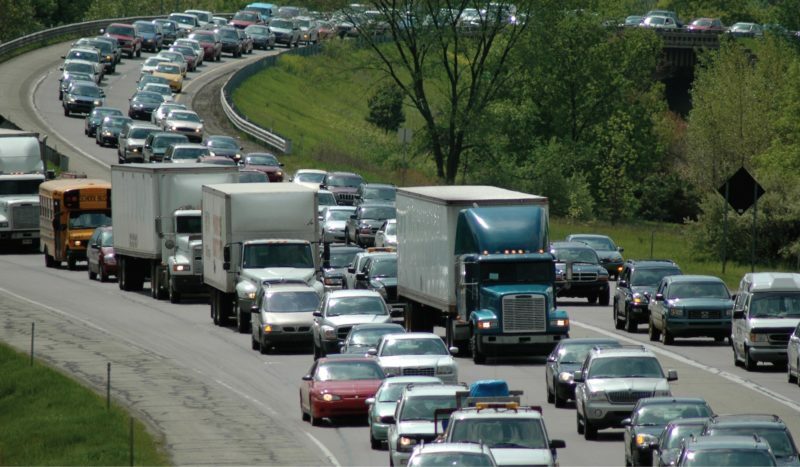 According to the Environmental Protection Agency, this is the equivalent emissions of 213,896 passenger vehicles driven for one year. For Schneider, there is irony that the state of Oregon’s policies on the Columbia River system would wipe out any gains from a massive influx of EVs.